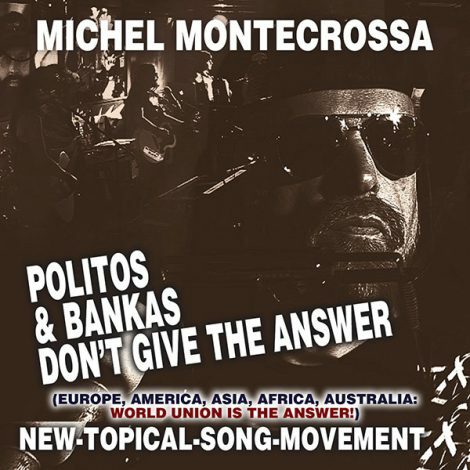 POLITOS & BANKAS DON’T GIVE THE ANSWER’ MICHEL MONTECROSSA’S NEW-TOPICAL-SONG-MOVEMENT AUDIO SINGLE AND DVD FOR EUROPE, AMERICA, ASIA, AFRICA, AUSTRALIA TELLING: WORLD UNION IS THE ANSWER! THERE IS NO CRISIS! with lectures, relaxing and refreshing body-exercises, cultural programs and the ‘Big Change’ World Peace Festival Concert with great New-Topical and Peace-Songs by Michel Montecrossa, Mirakali and Diana Antara. For tuning into the atmosphere of the Mirapuri World Peace Festival, its message, its poetry and its music see the recording of Michel Montecrossa’s speech for last year’s Mirapuri World Peace Festival: ‘The Future Is Young – Listen To The Young’. The recording features the complete speech combined with the live-performance of the six New-Topical-Songs: ‘Who Is The Future?’, ‘Talking Lines Of Fire’, ‘Secrets Of The Green World’, ‘Germany Is Green For The Future Of Europe’, ‘China Means Future’, ‘The United States Of Planet Earth’. 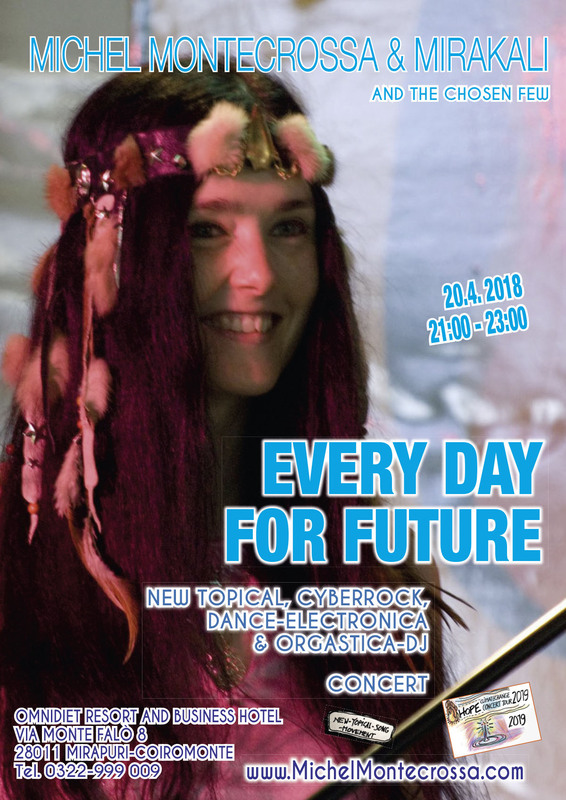 Michel Montecrossa, Mirakali and Diana Antara come with the heart of freedomloving musicians easily bridging the vast reaches from high-energy dance-cyberrock to acoustic-topical songs. 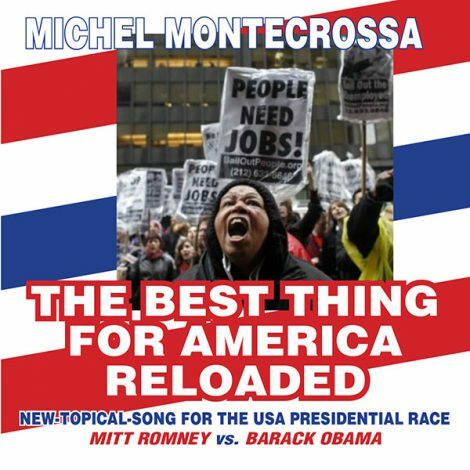 “This song was written during the USA presidential race Mitt Romney vs. Barack Obama. It is a reminder that the United States of America have a mission to fulfill if they truly want to find the solution to their internal as well external problems. The solution is to courageously lead the whole world on the way to the United States of Planet Earth. The separative national idea is outdated and incapable to solve global problems. No limited nation can secure jobs economy and ecology, only the United States of Planet Earth can do that for all nations. The beginning of a New Creation, coming from the Bright Earth. The work of Bob Dylan, who received on May 29, 2012 the Presidential Medal of Freedom from President Barack Obama, will, on July 30th and August 2nd, be part of the Spirit of Woodstock Festival 2012 in Mirapuri, Italy with the ‘Michel & Bob Dylan Fest 2012′ of Michel Montecrossa and his band The Chosen Few. The Spirit of Woodstock Festival takes place from 27.7.2012 – 5.8.2012 presenting twenty Love & Unity Concerts of Michel Montecrossa and his band The Chosen Few. The ‘Michel & Bob Dylan Fest 2012′ is part of this concert series and is scheduled for Monday, 30th July 2012 and Thursday, 2nd August 2012 starting at 19:00. V Day – Michel Montecrossa’s “Hello, Beppe Grillo’ Love & Unity Concert will take place on Saturday June 23, 2012 at the Omnidiet Musicc-Hall from 22:00 to 24:00 (Via Monta Falò 8, 28011 Mirapuri-Coiromonte, Prov. di Novara, tel: 0322-999009). 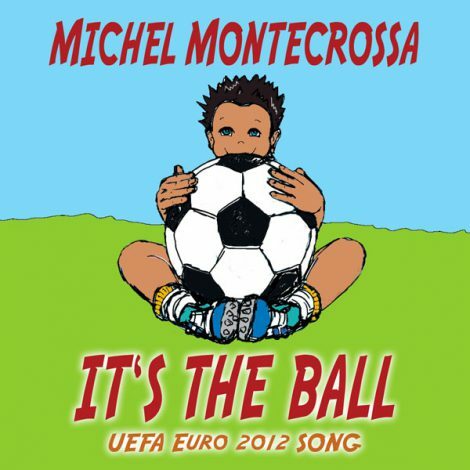 ‘It’s The Ball‘ – Michel Montecrossa’s Topical-Sportsmanship Song & Movie for UEFA Euro 2012, released by Mira Sound Germany on Audio-single and DVD dedicated to the spirit of true sportsmanship. Ein EM-Song 2012 von Michel Montecrossa. Der EM-Song 2012 heißt It’s the ball und wird von einem Video begleitet, das in einem Comic-Stil den Text des EM-Songs 2012 veranschaulicht. DerEM-Song 2012 ist laut Michel Montecrossa ein Song, der dem wahren Sportsgeist gewidmet ist. Ob Mädchen oder Junge, beim Fußball zeigen sie ihr Bestes und sind für etwas Großes bestimmt. Der EM-Song 2012 It’s the ball soll die Freude und den Spaß vermitteln, den der Sport Fußball mit sich bringt. So widmet Michel Montecrossa den EM-Song 2012 dem “spirit of true sportsmanship”. Mit einem relativ simplen Text kann der EM-Song 2012 It’s the ball vonMontecrossa zum Mitsingen verleiten und ist auch für Kinder, besonders wegen dem Video, ansprechend.